Step 1: Read over the information below. Step 3: Download and Complete the 2019-Ohio-Rose-Application. Step 4: Be sure to check your email for information and updates from the Ohio Rose Centre! Step 5: Come to the Selection weekends, be yourself and have fun! a) Be 18 years of age by January 1, 2019 and will not have reached your 29th birthday on or prior to the following September 1, 2019.
c) Be born in Ireland, be an Irish citizen or be of Irish origin by virtue of at least one of your ancestors having been born in Ireland. Traditionally, most of our applicants qualify as being of Irish descent. d) Ideally, you should have lived in Ohio for a minimum of one year and recommend that if selected as the Rose that you will remain an Ohio resident for the following 12 months. f) Be available for Ohio Rose Selection events and if selected be available for the Regional Festival and International Festival events. a) Yes, there is a $50 Individual Application Fee and a $100 Sponsorship Fee. b) Each Rose Applicant is asked to seek out a sponsor. This can be a business or sponsor with or without Irish affiliation. The sponsorship will be recognized in several ways, including in our program, on the website, and on the sash of the sponsored participant. If an applicant has any issues with obtaining a sponsor or meeting the Application Fee requirement, please contact the Ohio Centre at: info@ohiorose.com. Throughout Ohio Rose events, a panel of judges will consider many different attributes including, in the words of William Mulchinock’s song “The Rose of Tralee,” an indefinable quality that captures “the truth in her eyes”. The Rose of Tralee International Festival celebrates modern young women in terms of their aspirations, ambitions, intellect, social responsibility and Irish heritage. (text from roseoftralee.ie). When do I need to be available for the Rose Selection? a) All applicants are asked to be available the weekends of February 9th and February 15th-16th for judging and social activities planned. In addition, we ask that the new 2019 Ohio Rose will be available for part of the day on Sunday, February 17th for media engagement. What happens if I am selected as the 2019 Ohio Rose? a) After being chosen here in Ohio, you will receive an all-expense paid trip to the Rose of Tralee International Festival (Roses are expected from August 19th-27th, 2019, start date to be flexible as the International Festival sets calendar of events). Prior to your trip, the Ohio Centre will help you make preparations. You will participate in a busy schedule of activities culminating in the selection on the 2019 International Rose of Tralee on August 27th. b) In addition to the trip, a donation will be made to a charity of your choice. 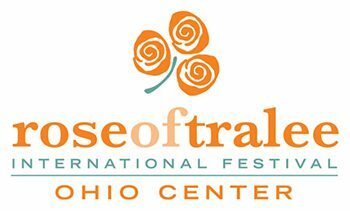 As the 2019 Ohio Rose, you will represent the Ohio Rose Centre at various festivals, parades, and social events starting with the Saint Patrick’s Day activities and Parade. This is also an opportunity for you to take ownership in helping to nurture the Ohio Centre program as have our Roses of prior years.